Do you see too many non-relevant products when searching for something in your shop? 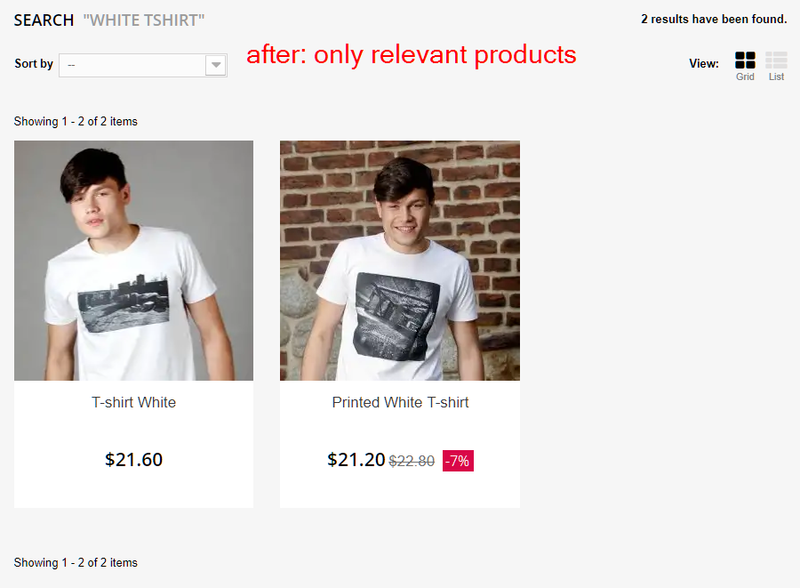 With this module, your shop will display only precise search results! By default, search mechanism in prestashop works in an OR mode. For every complex search phrase it outputs products for each word. So searching for a “black dress” will show everything that is black along with everything that is a dress. You may not see it as a problem (“the more products customer sees the better”), but think about it – seeing such irrelevant search results may lead your customer to a conclusion that your shop is not functioning correctly. It’s even worse if you don’t have any black dresses in your shop. Instead of letting your customer know, you show him dozens of products. This may confuse your customers and make them waste their time browsing pages of search results with non-relevant products. The SearchX module alters this mechanism (by an override), making it filter out any product that has no match for every word in a phrase. No more hundreds of pages to browse, a “black dress” search will show only black dresses. Filtering out non-relevant products on an early stage of the search process will also speed up your shop, it just won’t need to output all that unnecessary data to your customers. Our tests show that number of database queries during search drops even by half or more. 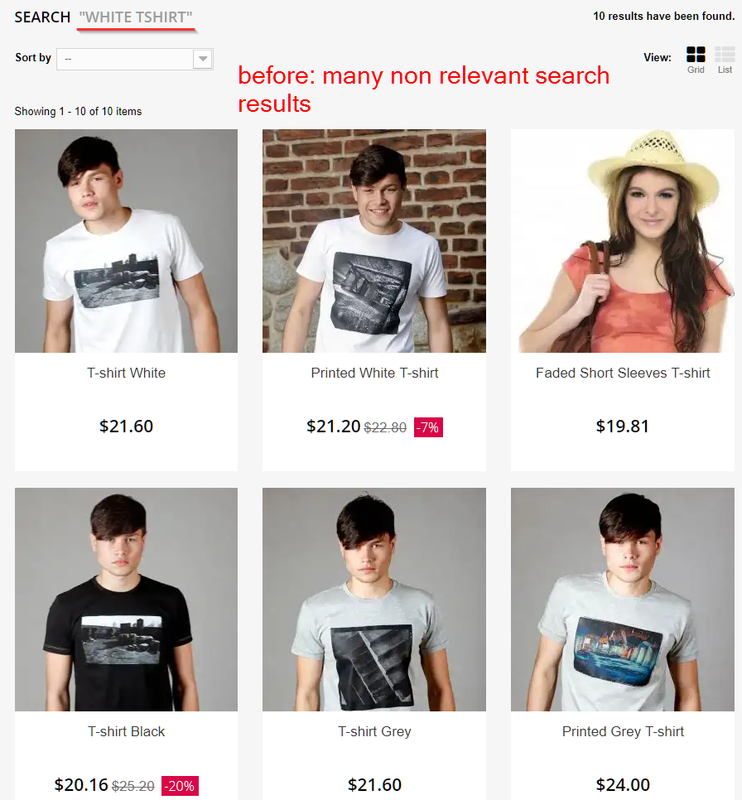 Note: This module changes only the results that the default prestashop search mechanism finds. So it’s compatible with the built in prestashop ajax and instant search features. No matter which module you buy from us, we’re always happy to give you any support you need to make it running on your shop. Tired of waitnig days for your tickets to get a response? Not with us. Within our working hours (9 – 17 Central Europe) you’ll get an immediate help.